What's Wrong With My Pool? The use of metals in water purification predates any scientific explanation for the phenomenon. Copper and silver vessels or water buckets containing coins, showed a remarkable tendency to keep the water free of algae and in a drinkable condition for extended periods of time. 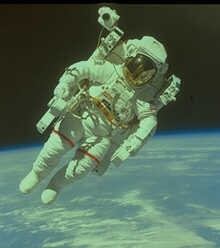 The use of ionization for water purification was pioneered in the 60s by NASA. Caribbean Clear incorporated this technology and developed an ionization product for introducing both copper and silver to swimming pool water. For its efforts, Caribbean Clear has been twice featured in NASA's publication "Spinoff." 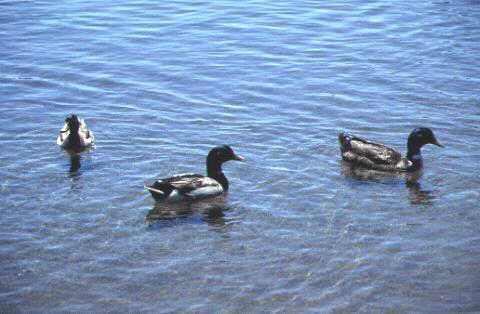 Copper is a well known algaecide and is commonly used to control algae in lakes and reservoirs. It is also the active ingredient in many swimming pool algaecides. A trace level of 0.2 ppm copper is typically needed to control algae commonly found in swimming pools. Silver and many of its compounds have unique antimicrobial properties and are commonly used in modern medicine. 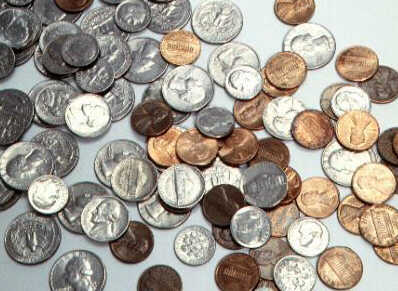 A level of approximately 0.015 ppm silver is used to control bacteria. In general, the swimming pool industry, health agencies, and NSF International use EPA drinking water guidelines as a basis for maximum chemical levels in swimming pool water. These guidelines are currently 1.3 ppm for copper and 0.1 ppm for silver. Normal operating levels for the Caribbean Clear system are less than 1/6 of these levels. Copper and silver levels which are in compliance with EPA drinking water limits should in no way infer that swimming pool water is safe to drink. NSF International (formerly the National Sanitation Foundation) has set standards by which copper/silver ionization systems may be tested and NSF listed. Their approval means that the Caribbean Clear system was run as directed for 8,000 hours and was found to be just as effective with only 0.4 ppm chlorine at disinfecting pools as was the traditional 2 ppm chlorine. Both UL and CSA have very strict safety standards for electronic swimming pool products. These standards include electrical isolation safety, electrical leakage testing, and 100% product subjection to high voltage to insure that no product can be compromised by voltage spikes. UL, NSF, and CSA all perform unannounced inspections of our manufacturing facility to insure compliance. It should not be inferred from Caribbean Clear's successful testing and listing with these organizations that all ionization systems are safe and work equally well. Caribbean Clear has spent considerable time and money in building a product line that performs satisfactorily and is safe. Ionization is a simple process in which a small electrical voltage is applied between two copper/silver alloy electrodes. The resulting current flow causes metal ions to be deposited into the water. Ionization may be thought of as an automatic feeder in which the output of copper and silver can be easily increased or decreased as needed. A copper test kit is provided to allow verification of the correct copper level. 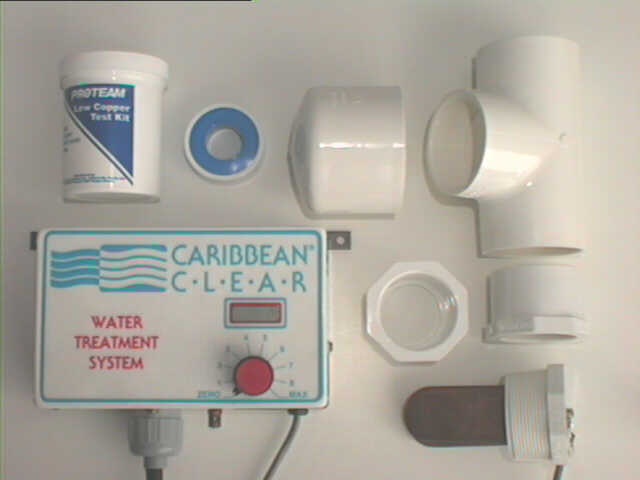 Caribbean Clear systems are based on constant current control which offers the most accurate delivery of copper and silver over the widest range of water chemistry, electrode wear, and fouling. During the process of ionization, metal is lost from one electrode while charged ions are attracted to the other. This results in the depletion of one electrode and the fouling of the other. By alternating electrode polarity, Caribbean Clear's systems allows both electrodes to be used efficiently while providing a degree of self cleaning. Electrode life will depend on pool size, water conditions, swimmer loading, weather, and many other factors. Although electrodes have been reported to last up to 7 years, most pool owners should expect the electrodes to last 1 to 3 years. Unlike other common water treatment methods, copper and silver offer very strong residuals which are not affected by sunlight, heat, or time. During peak days of intense sun and heat or throughout the winter while the pool is closed , copper and silver will remain in the water. Only as algae, microorganisms, or other organic debris are introduced into the water will the copper and silver be consumed and flushed from the pool. Installation is simple and can be accomplished by an authorized Caribbean Clear dealer or anyone with the necessary qualifications to perform minor plumbing changes and an electrical connection. The included 2" tee and 2"x1-1/2" reducer bushings provide a simple method of adding the ionization system to the pool's preexisting plumbing. The tee is glued into a section of pipe located between the pump and filter or the filter and the pool. The ionization assembly is then simply screwed into the plumbing. The control box easily mounts to a nearby wall and can be connected to either 110 or 220 VAC according to the voltage provided for the pool's pump. 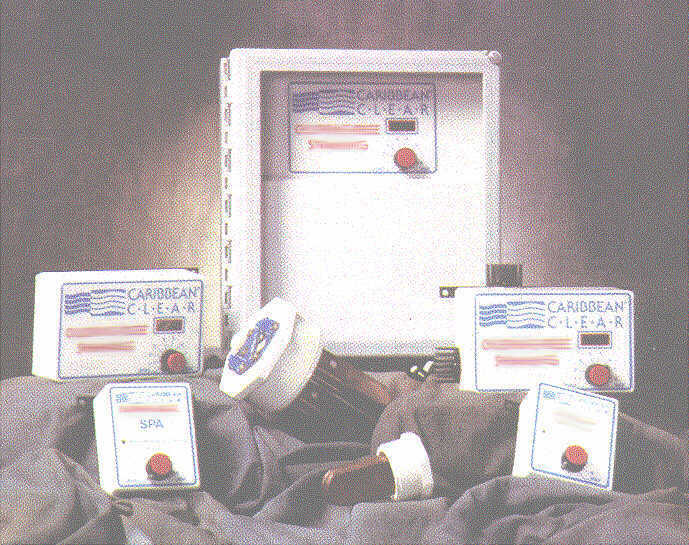 Caribbean Clear is the oldest continuos manufacturer of pool ionization systems. That experience allows Caribbean Clear to offer a full line of copper/silver ionization products for spas, backyard pools and commercial applications. Experience has shown that matching ionization performance with water volume and the water's characteristics is important for proper performance and optimum efficiency. Each Caribbean Clear system offers at least 10 output settings which allow full control of the ionization output and the resulting levels of copper and silver. Periodic testing with the included test kit will allow the pool operator to determine the copper level and make any adjustments necessary. What Can A Caribbean Clear Owner Expect? The benefits of ionization are clear. Water is more appealing without the typical 1-3 ppm chlorine residual or the weekly chlorine shock. At a barely detectable level of 0.4 ppm chlorine (1 quart of liquid bleach in a typical 30,000 gallon pool) the water will be more enjoyable, cost less, and require less maintenance. Liners and pool equipment will last longer. And, with less skin and eye irritation, the swimmers can enjoy the pool longer. 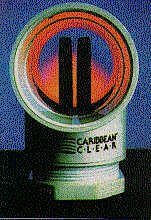 If you spend a good bit of time away from your home or pool, the Caribbean Clear system will be a great investment. Imagine returning home to an algae-free pool... and...without having to ask the neighbors to look after it. Spring openings and winter closings are both made simple. Copper and silver have long term residuals and remain in the water insuring clear water throughout the winter. Even commercial pool operators who are bound by state and local health guidelines to maintain typically 1-3 ppm chlorine can expect to save up to 80% on their chlorine consumption. Both your budget and your swimmers will notice the difference. Just how good is the Caribbean Clear system? It is one of only two systems approved and certified by both NSF International and the Massachusetts Department of Public Health.